Most of us spend 8-9 hours at work, engrossed in work. It is therefore important not just for you but also for your employer to make sure your workplace is safe. What are Workplace Health Hazards? Workplace Hazards are broadly defined as injuries or health issues sustained at the workplace owing to the type of work you’re involved in, materials or objects used, your working environment, etc. Ergonomic – These are common in white-collar jobs where employees suffer from bodily strain or injuries due to long sitting, faulty posture, type of chair, etc. ex. IT Employees. Chemical – issues caused by exposure to chemicals due to contact or inhalation. Ex. Cleaning Agents for Factory Workers. Biological – issues caused by exposure to biological substances that are toxic in nature. Ex. Infections sustained in healthcare professionals due to the nature of their job. Physical – issues that cause physical injuries, such as falls, slips or exposure to loud noise. Physical Hazards are most common in the workplace. Evaluation of all possible employee risk factors. Regular and timely workplace assessments. Listen to the concerns of your employees. Provide personal protective equipment (PPE) for all employees working with heavy machinery or are exposed to chemical or biological substances. Planned and timely health checkups for all employees. 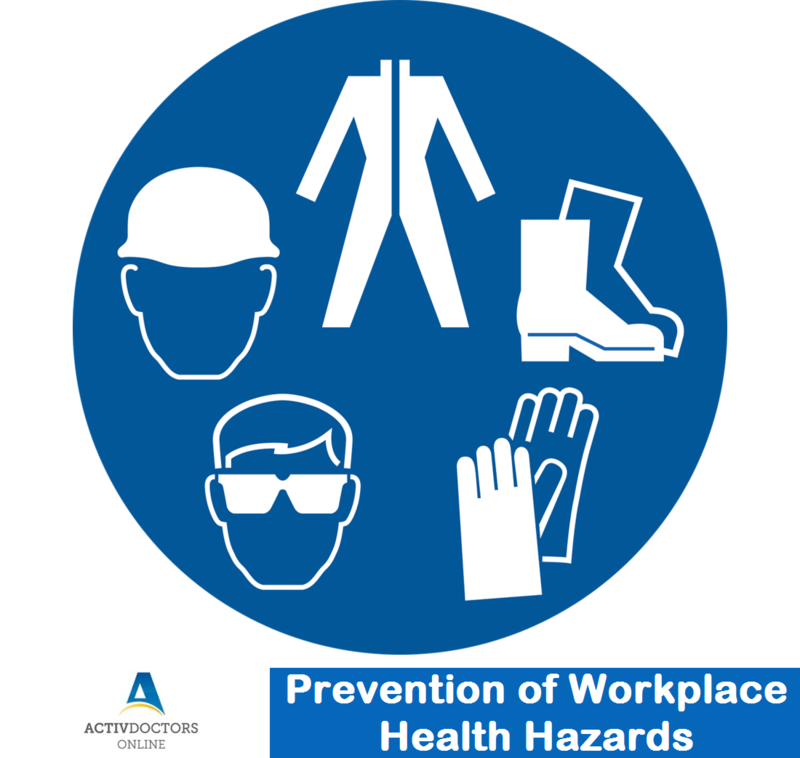 The preventive measures may look simple, but most of the workplace health hazards are highly preventable. Please contact us on contact@activdoctors.in for any queries related to Workplace Wellness and Workplace Health.